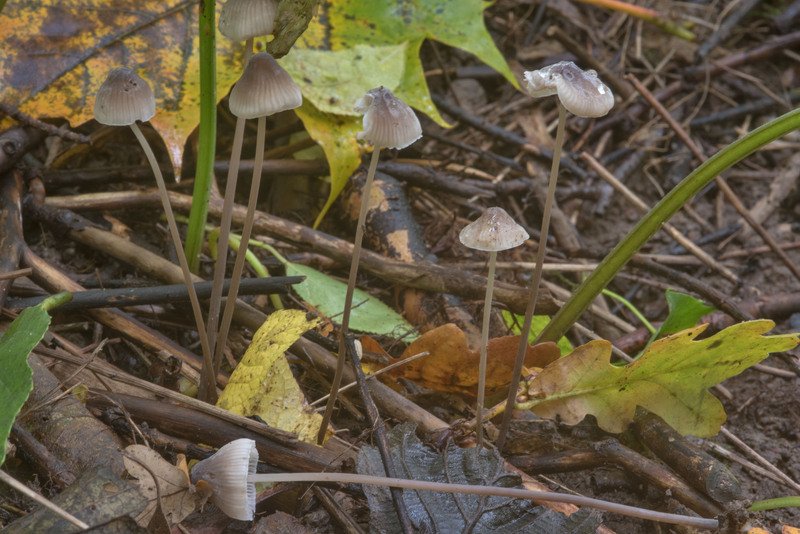 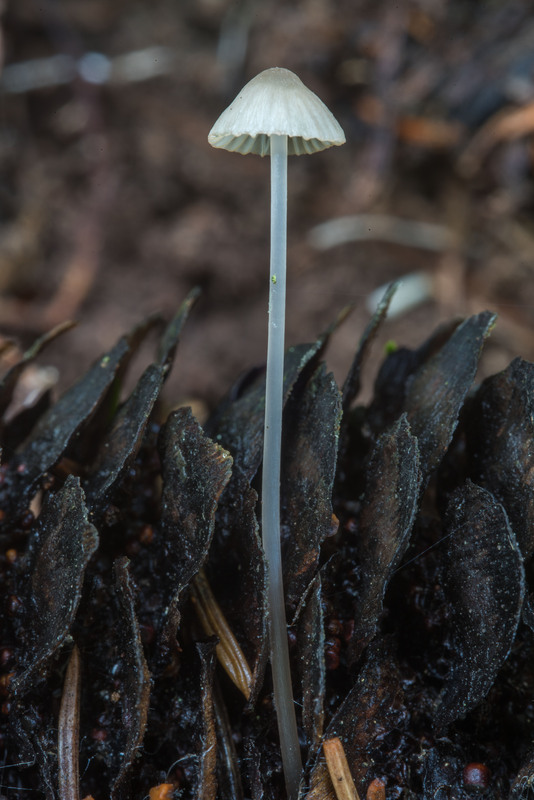 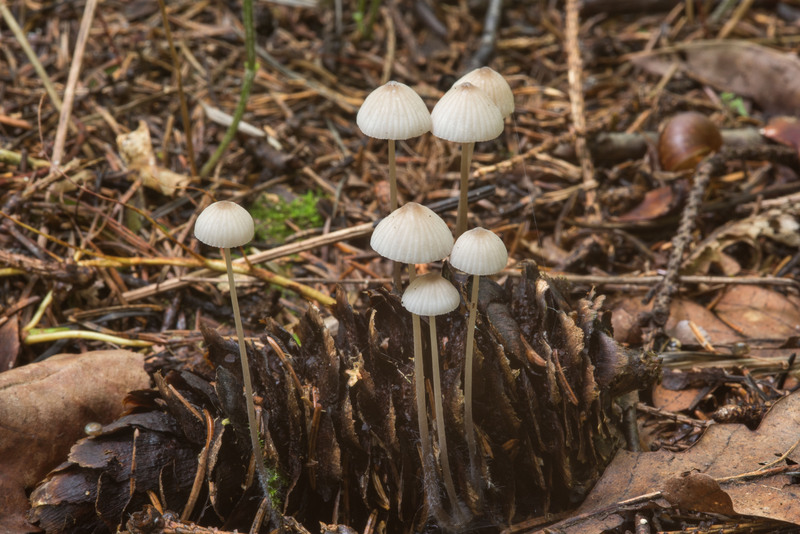 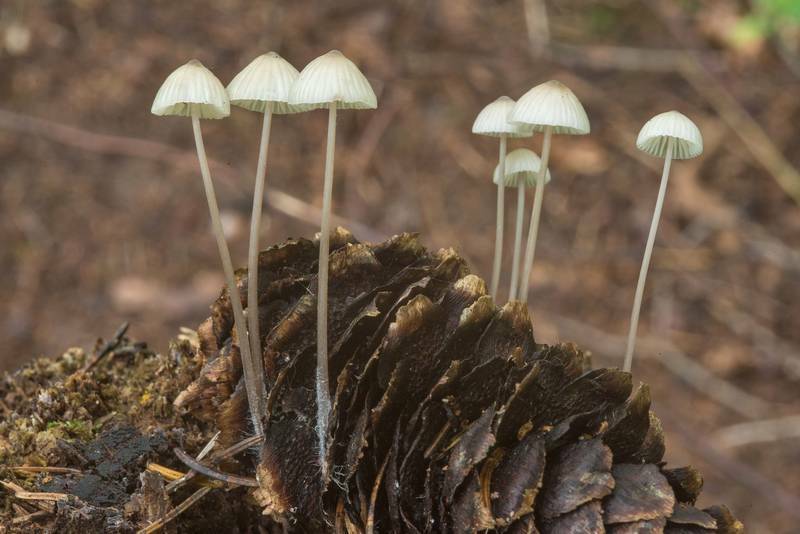 Synonyms: Agaricus acutatus, Agaricus amygdalinus, Agaricus filopes, Linopodium filopes, Mycena acutata, Mycena amygdalina, Mycena iodiolens, Mycena lineata, Mycena vitilis, Prunulus filopes. 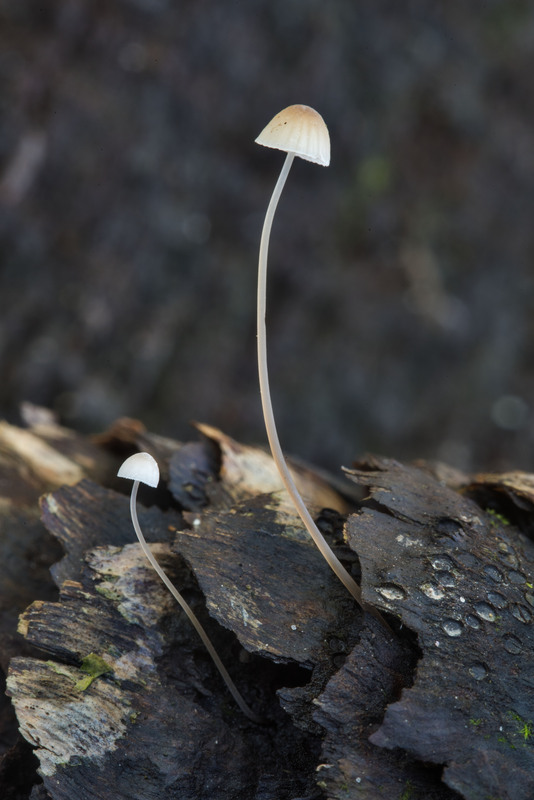 Russian names: Mitsena nitkonogaya, Mitsena nitevidnonozhkovaya. 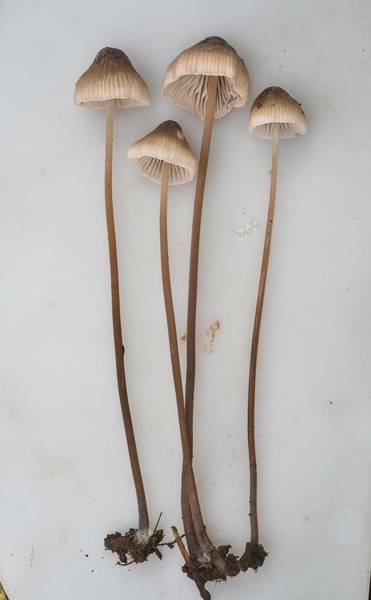 Search of mushroom species for given keywords "Mycena filopes" was done through catalogueoflife.org. Selection of a particular species from the list of 8 species was performed automatically.